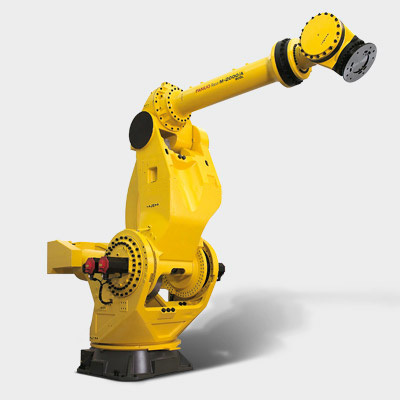 Boasting an outstanding vertical lifting stroke and a payload capacity of 900 kg, this heavy-duty long-arm version makes light of even heavy load applications. 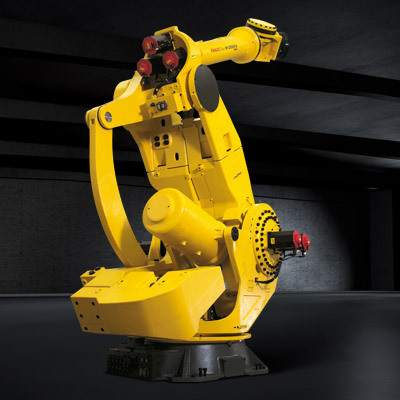 Powerful enough to lift 900 kg, this model is ideal for a vast range of material handling applications in the automotive and heavy machinery industries. 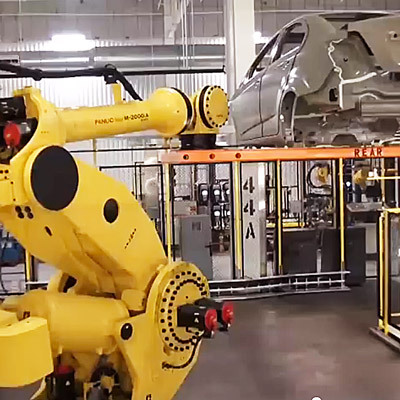 Lifting to an enormous 6200 mm and boasting a horizontal reach of 4683 mm, this powerlifter will easily handle the very largest of workpieces. 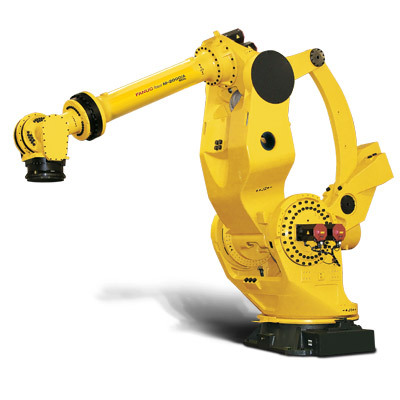 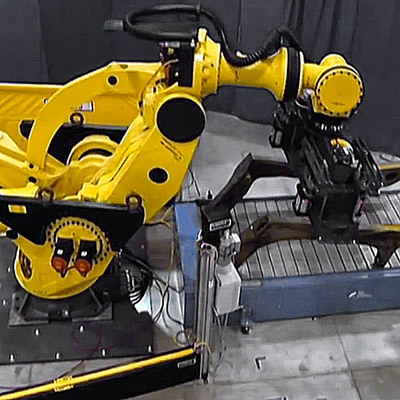 This long arm version provides the highest reach of all the FANUC robots. 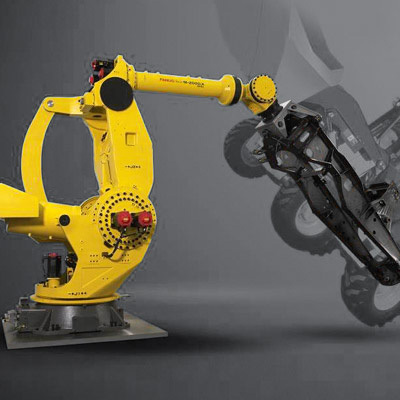 Capable of handling very large parts such as complete tractor frames or complete CNC machine beds. 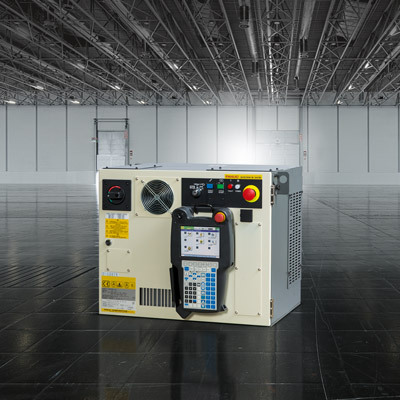 Discover the world-record breaking M-2000iA/2300 with its enormous 2.3 t payload capacity.